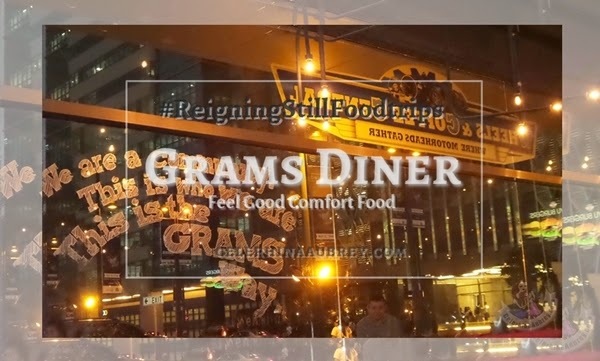 Are you looking for some feel good, comfort food in BGC? Well, here’s my review of Grams Diner. Let’s see if they indeed have that promised comfort food goodness. 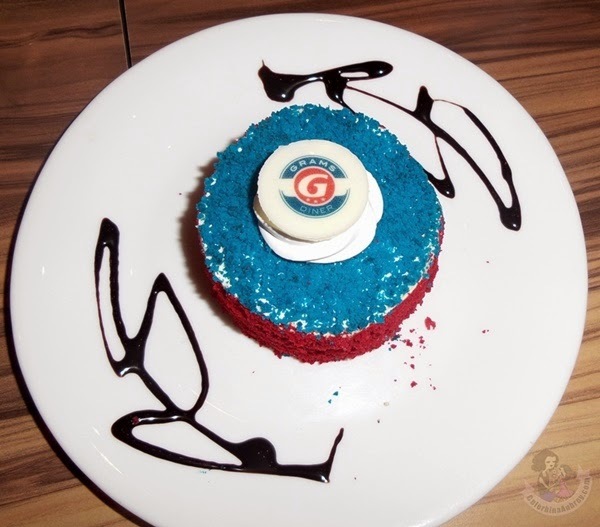 I went to Grams Diner a couple of weeks back during one of our Zomato foodie meetups. I really don’t know what to expect but since it’s a “diner”, I was thinking if it would indeed deliver those super greasy, fatty food we always see on diners. The moment I entered the place, I was amazed at how nice the ambiance is. 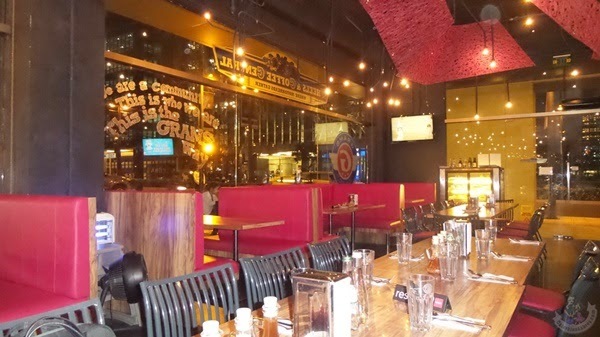 It really resembles those diners in the US with high-back red couch & wooden tables. While talking to the restaurant owners and managers, I have learned that they commissioned an architect/interior designer to do the full layout of the restaurant. It reminds me so much of those diners that serves big, fat, juicy and sinful burgers. 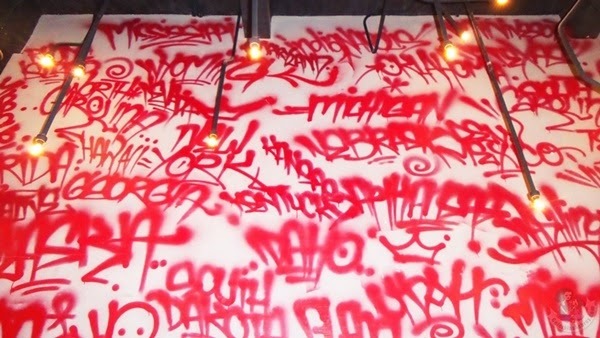 I super love this graffiti wall. 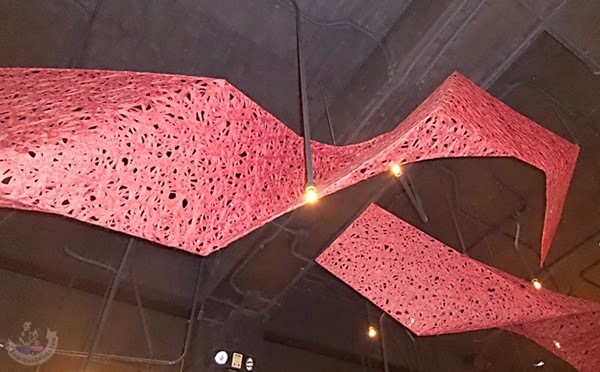 It adds character to the restaurant’s interior and just gave that “chill” vibe. It definitely looks like a nice place to hang out with friends. I super love the ceiling decors and drop lights. 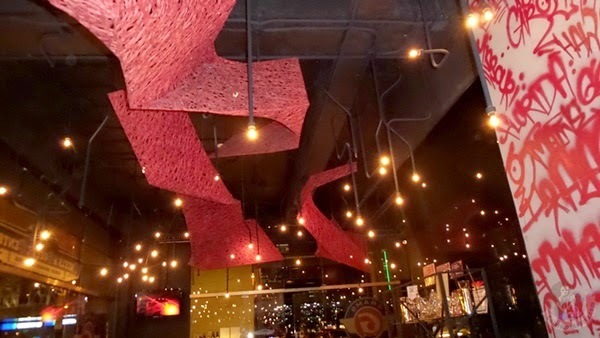 It seems like the stars are shining inside the restaurant. They even have that 3D effect where you’d see some bright lights while the others looked a little far. Very relaxing! Though their restroom is a bit cramped. I think it’s part of the overall theme/vibe but I suggest they put a bag hook at least. So girls, like me, could have a place to put our bags or clutch. The staff are very nice and friendly. They are also very attentive (or is it because the bosses are dining with us?! Hahaha!) and very accommodating. Although I hope they’d go the extra mile by giving information about the food they offer. Some of us ordered a meal, and despite arguing loudly about how full we already are and debating which one to get, the staff didn’t inform us that they offer smaller servings of the meal. I love it every time I dine on a restaurant and meet staff that would get out of their way to really inform you everything you have to know about the menu. Just those little things go a long way. 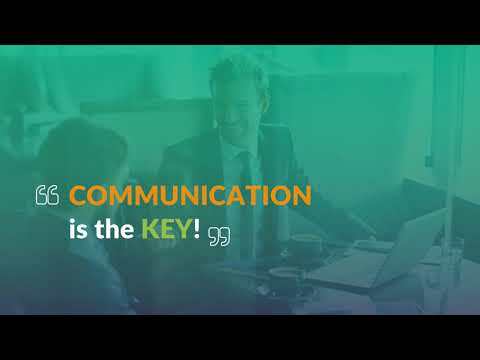 They could even pitch a sale! They could, say, recommend a drink that goes perfectly well with the dish the customer is ordering. But anyway, the managers and the owners are extremely nice. I’ve been to a couple of foodie meet ups and I really could say that they are one of the most hands on & very accommodating. You could even say your comment (positive or not) spot on. And they’d appreciate it anyway. We were served with A LOT of food. As in a whole lot. I went home super full and computing all the calories I ingested. But I went home happy, so it’s all good. I super love this crispy bread fingers. Each big basket of this goodies has, I guess 3 flavors (more or less). This one is a table favorite. I love that it’s crispy on the outside but super soft and chewy on the inside. 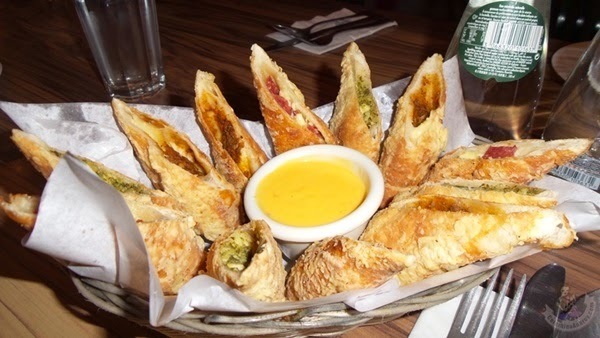 The fillings are very flavorful and the cheese dip goes perfectly well with the bread fingers. Super love it. This huge sausage platter was also served to us. It has 2 types of sausages, some onion rings and french fries. I love the fries and the onion rings. But I never really liked sausages in general so I didn’t enjoy it very much. 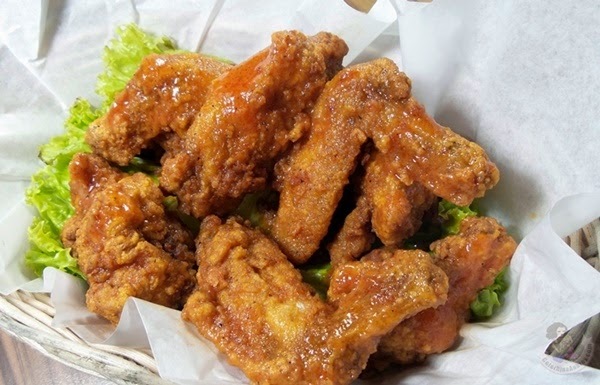 This spicy buffalo wings are crispy and juicy at the same time. Though I wish it’s a tad bit more spicier. Now don’t get me wrong, unlike my bestfriend Jerellt who loves anything spicy, I am not really a big fan of spicy food. But buffalo wings are different! I hope you’d agree with me when I say that buffalo wings are extra yummier if it’s a bit spicy, or maybe semi-super spicy. A basket of calamari was also served to us as an appetizer. 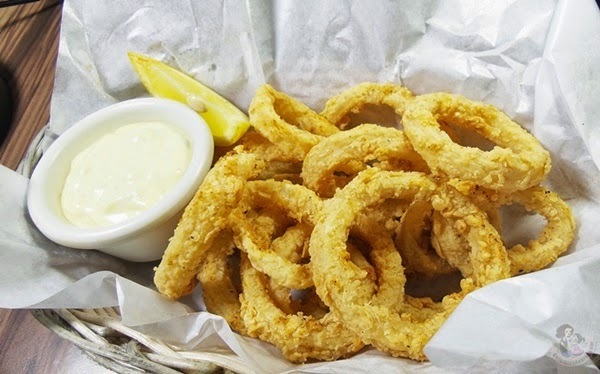 The sauce is perfect for the calamari. The squid is not rubbery and it’s crispy. Just the ay I like it. Now on to the main dishes, shall we? I got grilled liempo which everybody loves. My liempo was grilled to perfection. Not rubbery or too chewy. 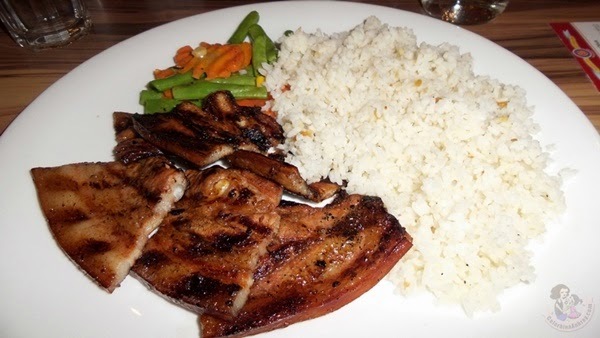 Just the perfect softness of a freshly grilled pork with enough coating of marinade. This plate made me really, really happy. 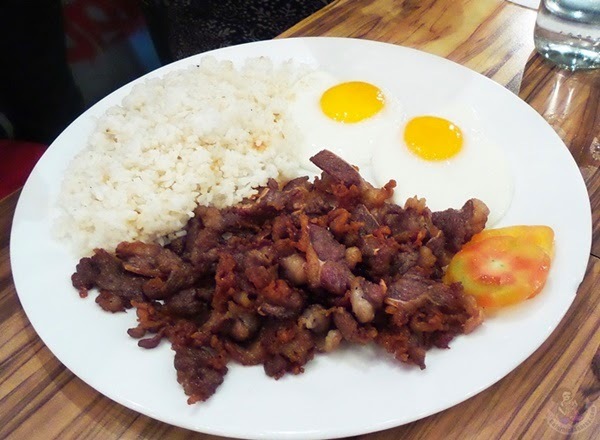 One of my fellow foodie ordered their famous beef tapa. Here’s the thing, one of them says that the tapa is hands down his favorite and deserves it’s “world famous” tag line. While another says that he finds it bland and well, for the lack of term, sad. So I was intrigued. Here’s the thing. Here in the Philippines we have 2 different tapas. The one which is dry and salty and requires a generous amount of vinegar with garlic to make the richness of the flavor come out. And the other is the sweet, saucy tapa. Sad to say, the latter was more popular these days. 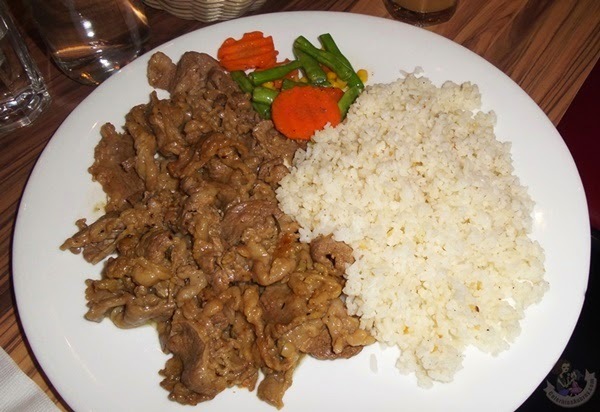 Although real foodies (and those who knew their tapa so well) would argue that there’s no such thing as sweet, saucy tapa. Hahaha! So that’s where all the confusion lies. The one that says it’s the best tapa in the world is not lying. I tried it with the different vinegars present on the table and it was oh so yummy! I like my tapa swimming in vinegar, so it made me really happy. The best thing about Grams Diner is the presence of the 3 types of vinegar on the table. One is a bit sweet but not too tangy. Another very light but not sweet and is full of garlic and onions. And the last one is a very tangy vinegar bursting with flavor, which I super love. My kind of vinegar! There’s really a vinegar for everybody unless you’re the foodie who says the tapa is bland. Hahaha! Apparently, he likes his tapa saucy and is not very fond of vinegars. So that explains everything. Mystery solved! Their roast beef’s serving is super big. As in huge. The owners are not lying when they said that they decided to increase their serving size so as to give more value for money. This serving is definitely good for two. Although they offer a much lesser serving on their breakfast menu but it comes with eggs. The roast beef is really delicious. Bursting with flavor. Though I find it a bit greasy (well, I’m in a diner for crying out loud! Food are supposed to be greasy. ), I still enjoyed it very much. The gravy was perfect. 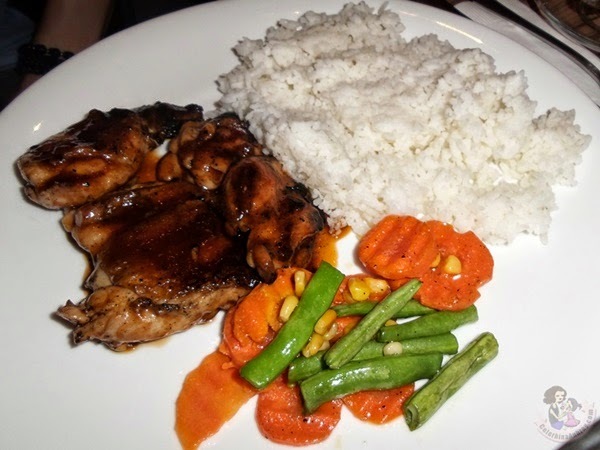 Another foodie ordered the grilled chicken. He says some part are burnt & gave it that bitter taste. Although I was not able to really try it. Well, I had a small piece of chicken but not enough to give my verdict. Though my fellow foodie says he loved it. Another dish I wasn’t able to try but definitely looks delish. 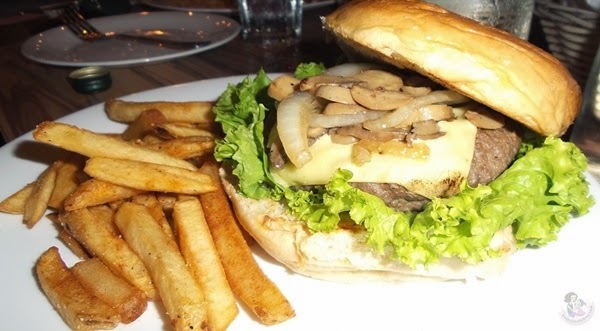 Look at that big, fat burger patty and yummy mushrooms. Plus the brownish fries that looked crispy and delicious. Next time, I would definitely try their burgers. For desert, some ordered a couple of cakes though I only had the chance to try this red velvet one. When my fellow foodie asked me if I want to order a cake, I told them I don’t want to. Because My Sweets Haven, my best friend’s sweet shop, raised the bar a bit too high. I’m now hard to please when it comes to the cake department. And yeah. I’m disappointed. I find the cake too spongy. And the icing too sweet. Hahaha! It’s all Joie’s fault. My gosh. I am now super picky with cakes. But if you want a spongy cake then I gues you’d still enjoy this one. And last but not the least, the king of the show! Oh my Geee! I swear. They serve the best milk shake in Manila. As in. 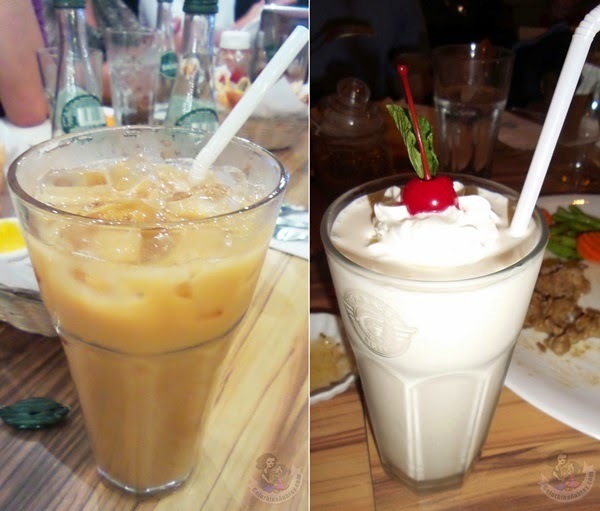 Do you know that it’s on spot.ph’s list of best milk shakes? I guess it got the top spot too. And I swear it’s super yummy. All calorie counting forgotten! The hell with my taba! I‘m gonna gulp down this goodness like there’s no tomorrow. Hahaha! 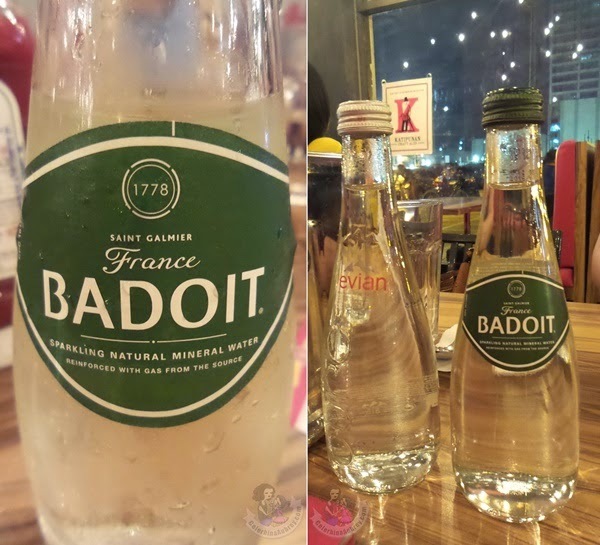 During our visit, we we’re served with Badoit, sparkling natural mineral water. This is great for foodie meet ups because it’s great palate-cleanser. It is best served chilled & is very light on the stomach. A bottle is a bit expensive though but they said that sparkling water are the best health-wise so I guess it’s all worth it. Aside from Badoit, we also had Evian. Sosyal! Haha!